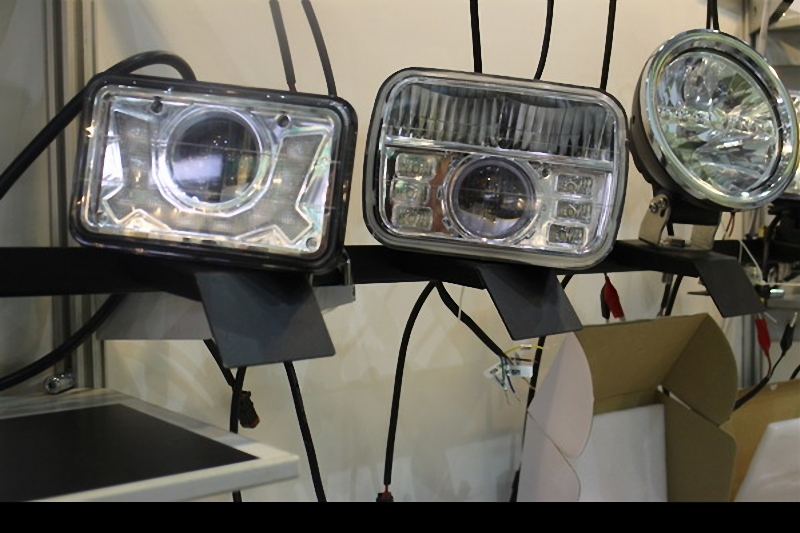 Taiwanese and Chinese auto LED lights makers brought a lot more types of LED headlights to international market on the Taipei International Auto Parts and Accessories Show (Taipei AMPA) earlier this year. A few years ago, most Taiwanese automotive lights manufacturers were focused on the LED taillight market. The LED headlight market was difficult to enter because of the challenge of thermal dissipation, lifetime and reliability requirements . Over competition in the LED taillight market, maturing LED technology, and change of LED headlight applications from high-end car models to more affordable mid-class car range in the last five years has encourage manufacturers to enter the LED headlight market. The types of LED headlights seen on the show for aftermarket applications included sedans, luxury cars, trucks, motorcycles and niche market applications, such as jeeps and 4X4 off road vehicles. One of the leading Taiwanese auto LED light manufacturers, Depo Auto Parts, released a latest smart LED headlight or taillight that can change colors according to car speed. Depo engineers designed the Bluetooth connected smartphone and tablet Apps for the lighting system. The most difficult part in the design was the amount of man power invested in patent research to avoid patent infringements. In addition, smart LED headlights are very expensive to develop with a lot of data know how, and negotiating with original automotive makers for computer data or code authorization was also a very big job. Regarding LED headlight designs, several manufacturers have incorporated low and high beam LED headlights, position lights, and daylight running lights (DRL) into a single LED headlamp module. Currently, three-in-one LED headlight that integrates low/high beam lights, daytime running lamps for trucks and off road vehicles was popular on the market. 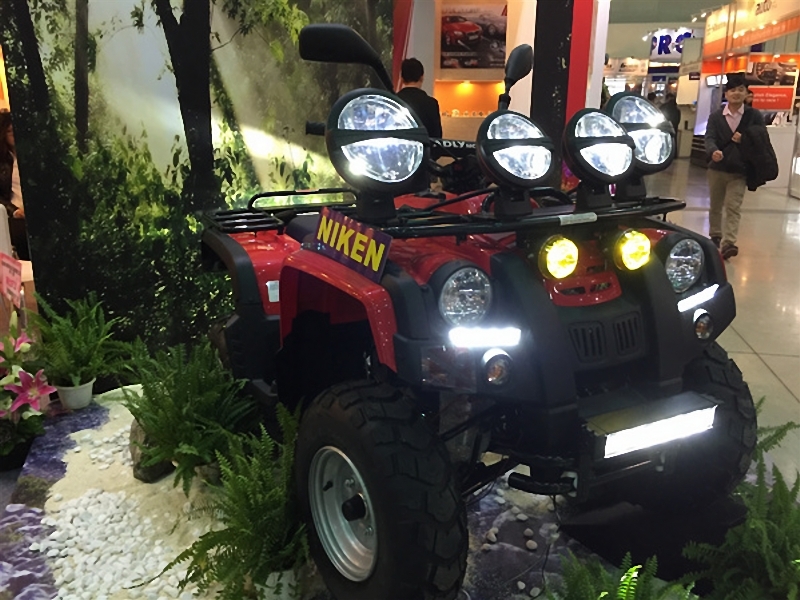 Similar LED headlight designs were also found in Taiwanese producer Niken whose LED headlights are best for 4X4 off-roadvehicles. The company incorporated four lights, the position,low/high beam lights, and fog lamp into the LED headlight. The patent protected headlight reflector for better lighting, and thermal dissipation was also improved by placing the LED lights at the center instead of on the top. Their LED light bars also used special reflective designs to hide the LED light source to give it a more aesthetic and simple appearance. Integrated designs were also found in motorcycle LED headlights, TYC Brother Industrial (TYC) had combined position lights, turn signal lights and low/high beam lights into Ducati new Diavel headlights. Aside for the OEM product they made for Ducati, TYC also had old halogen headlights for BMW R nineT motorcycle, which was a special retro model launched in 2014 to celebrate the 90th anniversary of BMW Mottard. They also had a newest LED truck light specially built for Optimus Prime, for Transformers: The Age of Extinction. To sum up, some of the trends in the LED headlights industry see manufacturers focus on original designs, filing patents to protect product design, or making sure their products meet Emark, U.S. SAE or European ECE standards. Another common feature shared among LED headlight makers was the usage of Cree, Osram, Nichia or Lumileds LED chips, which manufacturers said were more reliable and capable of delivering brightness to meet U.S. or European market requirements.